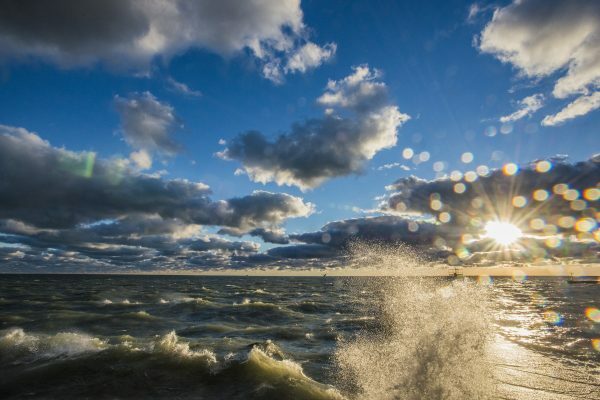 Can one community make a difference in a region as big as the Great Lakes? 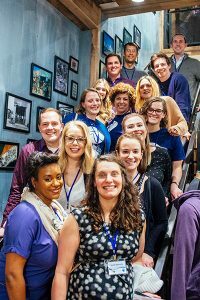 The Alliance for the Great Lakes’ Chicago Young Professional Council believes that big things happen when a community unites for a common cause. And that’s exactly what they aim aim to do: bring people together to better the Great Lakes. The Council’s mission is to engage the next generation of Great Lakes leaders in Chicago. They grant funds to Chicago area clean water projects that protect Lake Michigan and enrich the community. The Council kicked off their 2018 grant cycle last month with their second annual fundraiser: Libations for the Lakes. Like last year, Patagonia Chicago hosted the event. The Council, along with Alliance and Patagonia staff, transformed the store into a party with a cause. Guests were met by cheerful Council members, catered food from Big Delicious Planet, music, and even a taxidermied Asian Carp. Libations for the Lakes guest snaps an Asian Carp selfie. With a name like Libations for the Lakes, you can’t forget about the drinks! Breweries and businesses donated spirits for the evening. Guests enjoyed drinks from the Beverage Tasting Institute, Deschutes Brewery, Half Acre Beer Company, Lake Effect Brewing, Goose Island Brewery, and New Belgium Brewing. Enjoying libations for the lakes at Libations for the Lakes. Both floors of Patagonia were filled with the Council’s vision: a community uniting for a common cause. Guests included Alliance staff, staff from Chicago environmental organizations, and friends and family of the Council. Ticket sales from the event supported the Council’s grant program. But, it wasn’t the only way they raised funds. Libations for the Lakes featured a silent auction with prizes donated from many Chicago establishments, including the Field Museum, Chicago Bears, Intelligentsia, Lettuce Entertain You, Patagonia, the iO Theater, and others. Alliance Volunteer Manager Tyrone Dobson shows party-goers the many silent auction prizes they can try their luck on. Alliance President & CEO Joel Brammeier discusses the importance of clean water and our work to protect it. All told, Libations for the Lakes raised nearly $6,000 and hit their fundraising goal for the upcoming grant cycle. A big win and a good party, all thanks to a community of supporters who care for the Great Lakes. The future of Great Lakes protection lies with young people. The Alliance’s Chicago Young Professional Council is ready and excited for that challenge. Couldn’t make it to the event? Support the Chicago Young Professional Council and their grantees by donating now.